Who really moves things forward in our society and how do they do it? How have they always done it? Strategy guru Roger Martin and Skoll Foundation CEO Sally Osberg make a compelling argument that social entrepreneurs are agents of change who recognize, in our current reality, various kinds of "equilibria"—systems in need of change—and then advance social progress by transforming these systems, ultimately replacing what exists with a new equilibrium. Getting Beyond Better offers a bold new framework demonstrating how and why meaningful change actually happens in the world, and offering concrete lessons and a practical model for businesses, policy-makers and civil society organizations to generate new value, again and again. 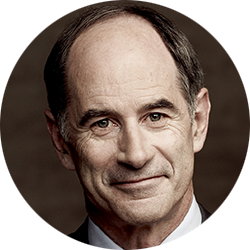 Professor Roger Martin is a writer, strategy advisor and the former Dean and current Institute Director of the Martin Prosperity Institute at the Rotman School of Management at the University of Toronto in Canada.